What to Look for in Energy-efficient Replacement Windows | Many new homes use contractor grade windows. Considering utility bills, energy conservation is key. 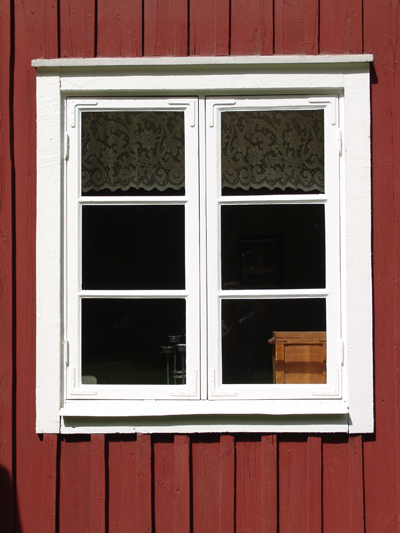 The energy efficient windows today are sometimes referred to as proxy green building materials. This mean that unless your sash or frame is made out of wood, the materials as a rule havent been reclaimed, recycled, or repurposed. However, since they do actually conserve energy, it does infer that they lower energy usage, which in turn reduces carbon emissions that result from burning coal, natural gas, and other fossil fuels. But when you consider making a window upgrade, it is essential to do the necessary research and homework on the topic and the current state of development. There are indeed rules to qualify for an energy tax credit in the US. Especially for windows and skylights, this can be a tricky process. Why? Because it depends on several factors. These can include your geographical location, your choice of window frame material, U-factor, and solar heat gain coefficient (SHGC). In short, whenever you let the federal government make these types of rules and regulations, you can be certain of one thing — they are going to muddle it so badly that it is very difficult to navigate. You will find that there exists a wide selection of frame materials on todays market. The choices should be geared to your climate, the ease of maintenance, and of course, your personal preference. Vinyl. Vinyl is extremely popular today. This material is very frugal and durable, but functions better in areas where the climate doesnt swing in great extremes. Wood. You will recognize this as the most traditional material. One of the main benefits is that wood is an organic material that insulates naturally. The largest disadvantage is the maintenance factor. You will have to chip and paint it every year or so to prevent it from problems like warping, cracking, and rotting. It is possible to repair window frame wet rot, but of course its a better idea to prevent it. This fact alone makes it a better choice for a 1-story home than a multi-story one. Aluminum. This is a familiar metal know to be lightweight. It is also highly resistant to warping and splitting and doesnt need painting. On the downside, contractor-grade aluminum windows are notorious for transferring heat and cold. In northern climates they sometimes have condensation issues. The much-mentioned U-factor is an important property to think about; simply put, it measures thermal conductivity. How does it work? The lower the number, the better the insulating quality. As an example, consider that an aluminum window frame that dosent feature a thermal break and that holds a single pane of glass has a U-factor rated at about 1.30. Move on to a double glass modle (air-filled), and the number drops to 0.81. Go further with a low-e filled with argon rather than air and the value drops to 0.64. Thats huge. So why is argon-filled better than regular air? The short answer, without getting into the chemical expanation, is that it insulates better because of a lower thermal transfer. Next, krypton insulates a bit better but is much more expensive. So this is where you really start making trade-offs of price vs future savings. Finally, low-emittance coatings, often referred to in the trade as low-e, is really just a microscopic metal oxide layer on the glass surface. Next consider what is called the solar heat gain coefficient. This factor is represented as a number somewhere between 0 and 1. What it does is measure the fraction of incident solar radiation that the window will allow into the home. Like the U-factor, a lower value equates to better energy-efficiency, and thus, lower utility bills. Even solar window film can help lower the number, and that is another inexpensive chore that you can do yourself. So in conclusion, it is elementary to see that the frame material, the number of glass panes sandwiched in there, and the type of gas fill can be combined in many different ways to suit both your homes geographical location, the fatness factor of your wallet, and the convoluted government rules on energy tax credits. Yes, picking your replacement window upgrade can seem overwhelming but it is critical to be armed with the facts. Window salesmen enjoy a reputation for being pushy (hey, lets close this deal today for maximum savings! ), and many will attempt to sell options that will increase your bill when are not needed in a particular situation. Do you need an article written and featured on one of our sites or yours to promote your business? I specialize in blog-writing. Hire Me! Website © 2008 KSmith Media, LLC; all rights reserved. Webmasters Google profile.